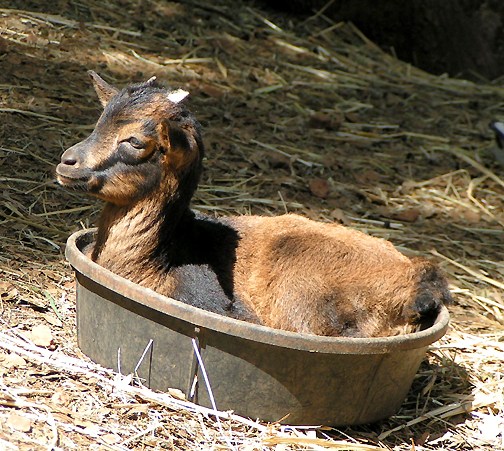 The story of the origin of the San Clemente Island goats is that they were brought to Channel Islands by the Conquistadores as a supply of milk and meat for their sailing expeditions. A more realistic version of this story is that they were probably brought to the Channel Islands by Mexican land owners who ranched the islands before the United States claimed the territory of California. In either case they were abandoned and ran wild in a closed environment for several hundred years. 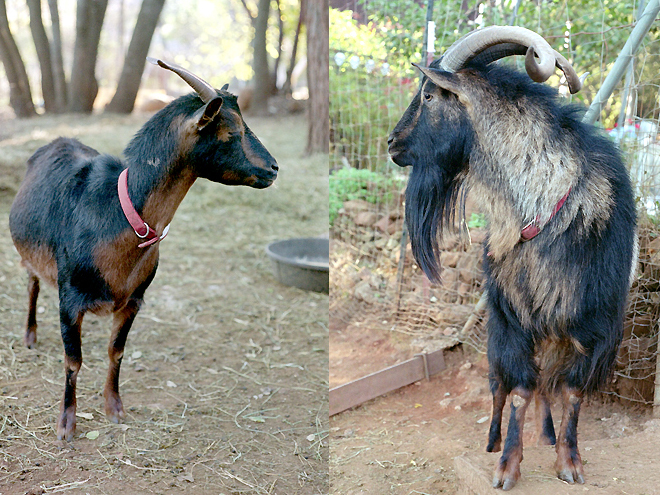 The image above is the doe and buck that started the herd of San Clemente Island goats at PsiKeep. The latest official count of San Clemente Island goats is that there are about 500 in the world. The two herds at PsiKeep expand and shrink with the breeding season so this total number of 500 might be small. There have been up to 25 goats at PsiKeep. Currently there are 18 goats on the ranch. Each year the kids are sold people who are interested in heritage livestock and saving the breed. 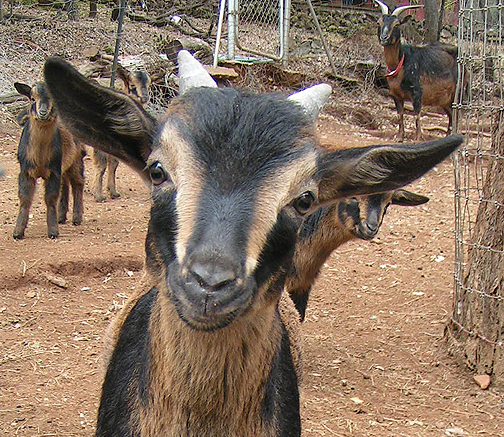 One good thing about raising a heritage breed is that thankfully no one is going to pay $400 for a goat to BBQ. Posted on April 6, 2013, in Psi Keep Center for the Arts, San Clemente Goats, Uncategorized and tagged raven; PsiKeep Center of the Arts, SCI g oats at PsiKeep, SCI goats. Bookmark the permalink. 2 Comments. Great pics of your herd. Thanks for your blog. Enjoying very much. I don’t think I’ve ever read that much about goats haha Interesting, never occurred to me there are different kinds of goats.